As you can see the one above was made from a novel, however in a bid to make a smaller one I made mine out of an old notebook my mum got me that I never got around to using. 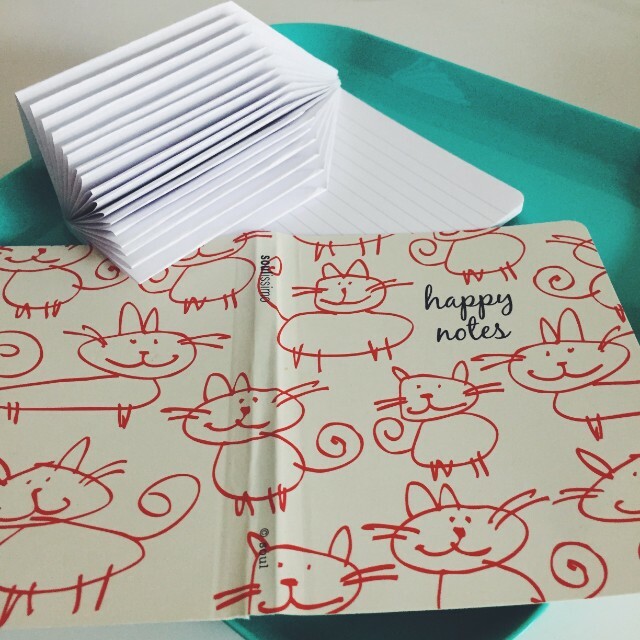 I have so many empty notebooks I could open my own Paperchase. Start by removing the front and back cover of the book. 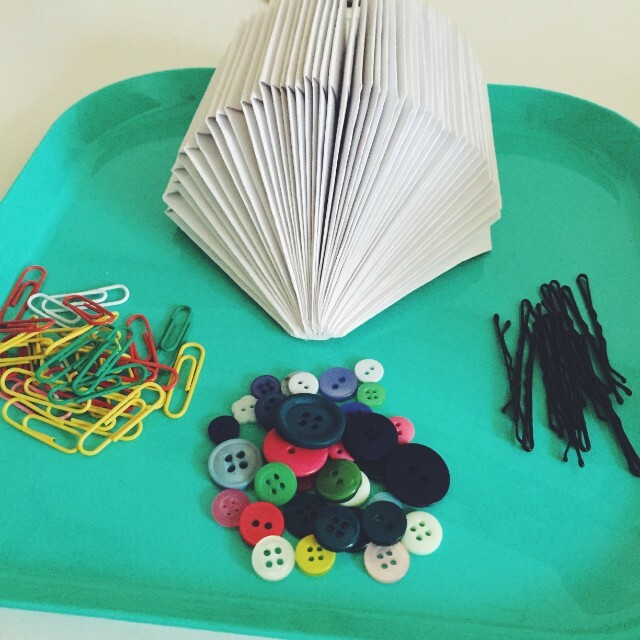 To begin making your hedgehog take a page and fold down the top corner to the inside. I hope you can make out what I mean in the picture below. Next fold the outer edge towards the inside of the book, where my thumb nail is. 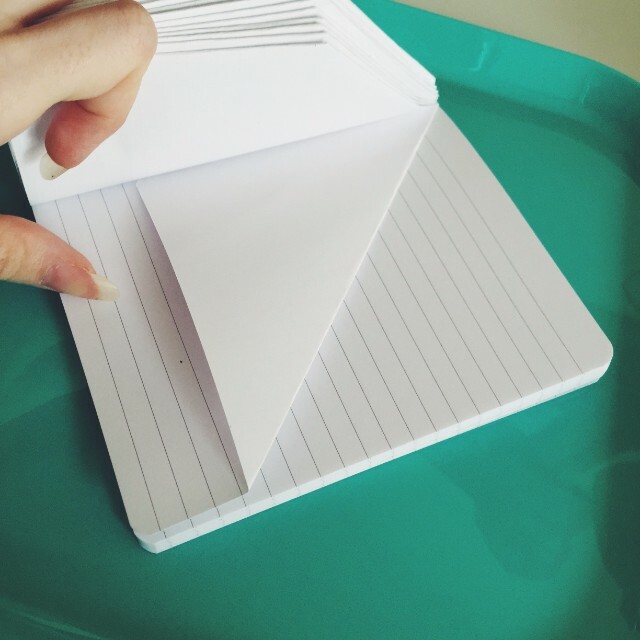 Continue the step above and this step for all the pages! 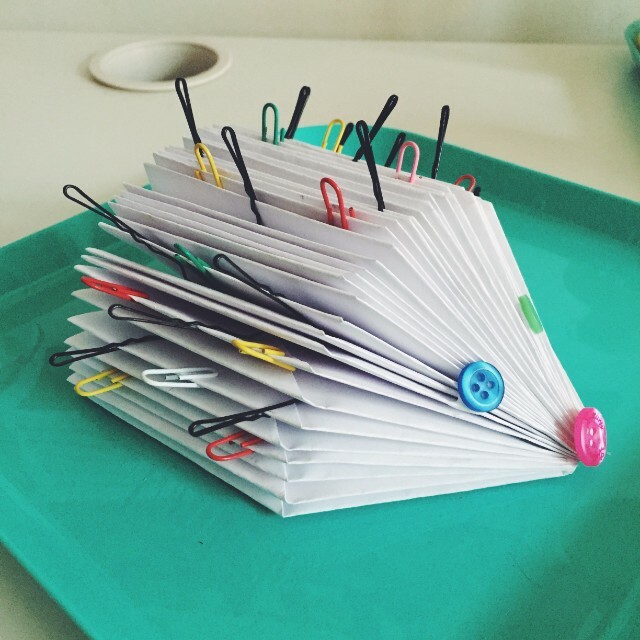 Once you finish folding all the pages you will have a hedgehog something like the one below. I'm not going to lie, mine turned out kind of a half moon hedgehog because there wasn't enough pages in my book. 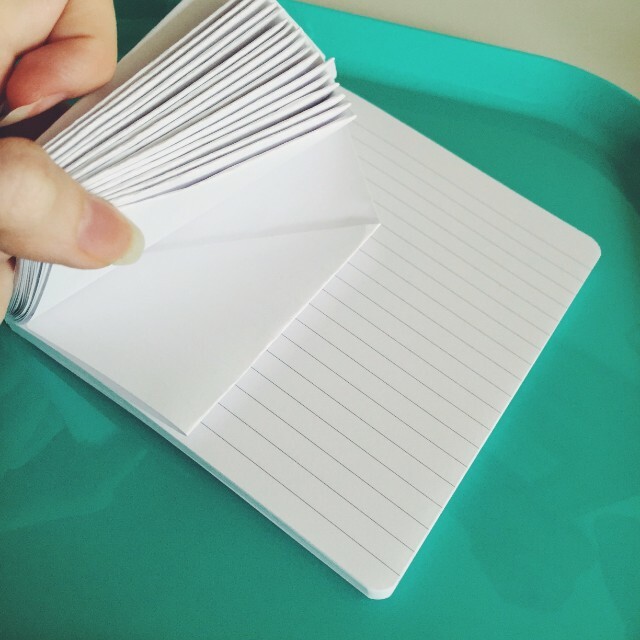 By the time I realised it was too late and I didn't have a thicker notebook to start again. So be concious of that. Now it's time to decorate your little guy! 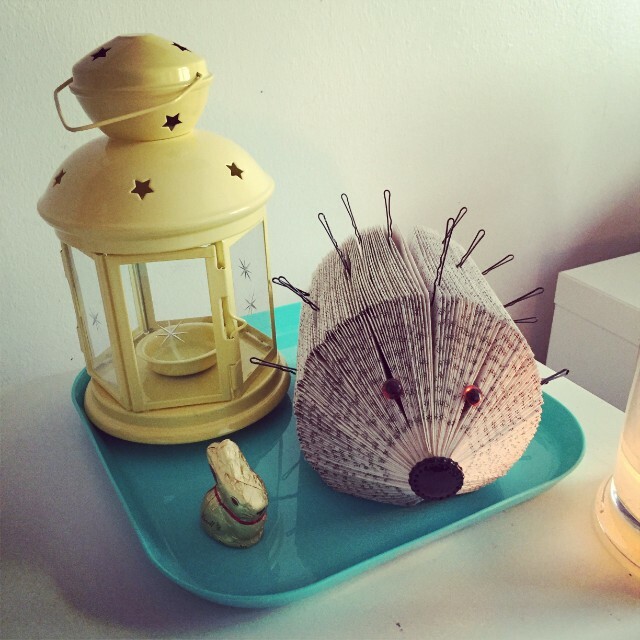 Unlike the Christmas trees, which were purely decorative, I feel like the hedgehogs have more of a practical use. 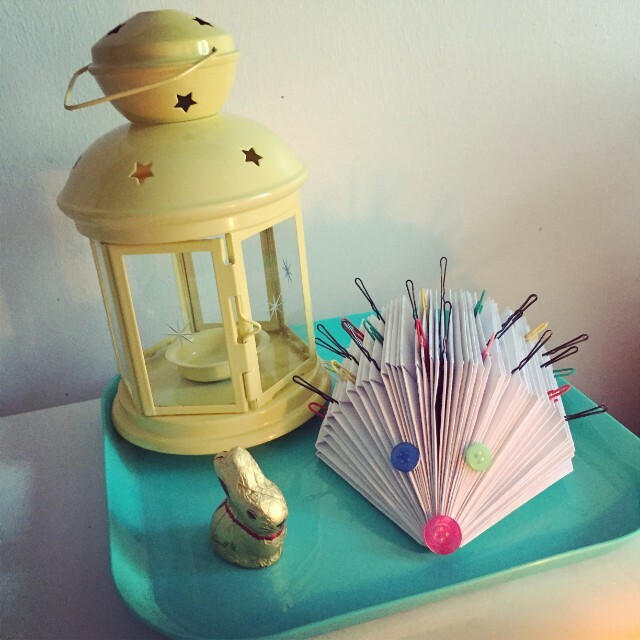 It's a great place to keep your kirby grips and paper clips and they double as the spines of your hedgehog. I also added two button eyes and a button nose to complete his little face. And there you have it! 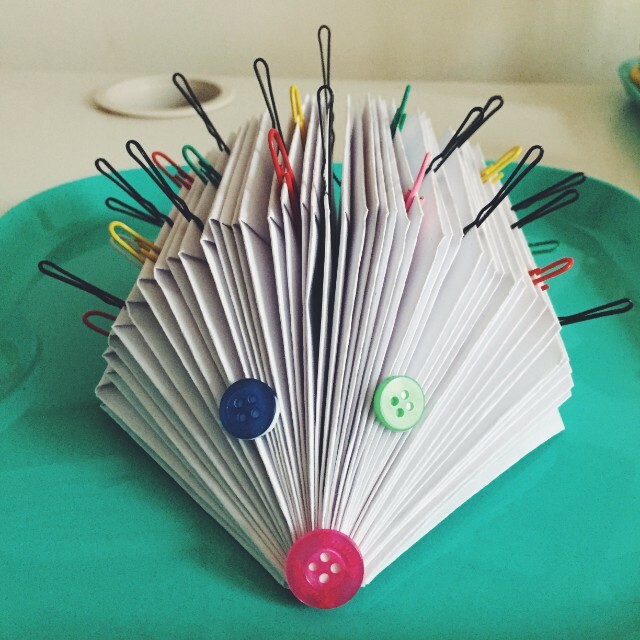 Your very own paper craft hedgehog! I'm really happy with this little guy and he goes really well with my colourful room. There will be a photo of my workspace in Sunday's post as I've given it a bit of an overhaul and it's really coming together. I think he's a great addition! I am ever astounded by your artistic abilities! I can only wish I had your imagination and talent. Love this so much!! It's so clever!!! And cute of course.